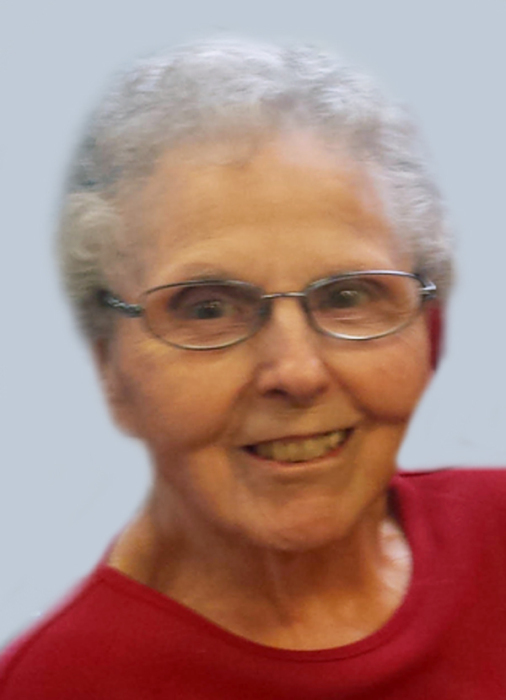 Florene Glines-Scherer, 89, of East Moline, Illinois, passed away on Saturday, January 19, 2019 at Hope Creek Center in East Moline. Her funeral service will be held at 11:00 a.m., Saturday, January 26, 2019 at McGinnis-Chambers Funeral Home in Bettendorf. Visitation will be held from 9:00 a.m. until the time of the services on Saturday at the funeral home. Burial will be in Davenport Memorial Park. Memorials may be made to Christ Church of the Quad-Cities in Colona, Illinois. Florene was born May 26, 1929 in Reading, Kansas, the daughter of Efton & Gertie (Hagewood) Owens. She was a 1947 graduate of Golden City High School in Golden City, Missouri. Florene was a faithful member of Christ Church of the Quad-Cities and formerly a member of the Moline Gospel Temple. She was a homemaker and found much comfort reading her bible throughout the years. Those left to honor her memory include her grandchildren, Jason (Linda) Glines and Geoffrey (Kalyn) Glines of Sparks, Nevada; three great-grandchildren; several nieces and nephews; her sister-in-law, LaWanda Owens; her special friend and caregiver, Kathy Larrison; and her Christ Church family. In addition to her husbands, Florene was preceded in death by her four children, Joan, Mickle, Gary and Lorrie; her siblings, William Rosella, Betty Jane, Calvin, Lindydale and Lorene, her twin-sister. Online condolences may be expressed to the family by visiting Florene’s obituary at www.McGinnis-Chambers.com.